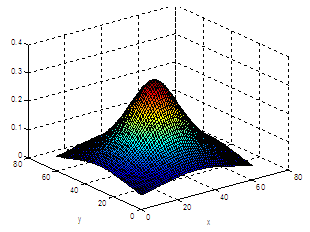 Three-dimensional plots (or 3D graphs) can be created by this numerical software. 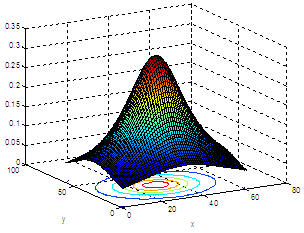 Matlab provides many facilities for visualization of 3D information or data (x, y, z). 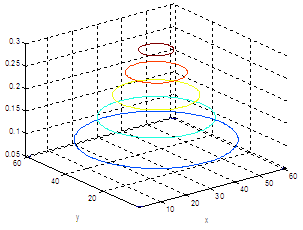 The facilities include built-in functions for plotting wire-frame objects, space-curves, shaded surfaces. Also, automatic generation of contours, volumetric data display, light sources, interpolation of colors and displaying externally-created images. 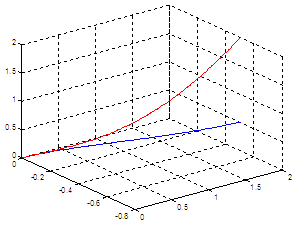 Typing ‘help graph3d’ in the command window gives a list of functions available for general 3D graphs. 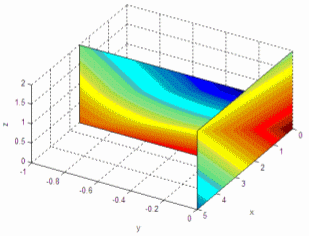 This is a kind of ‘catalog’ of the most popular 3D graphics functions. You can use these instructions for your needs simply by following the examples. The ‘meshgrid’ function must be first understood.